The Basic Law: Jewish Nation-State, enacted in July 2018, sets forth the constitutional identity of the regime. The opponents of this Basic Law can be roughly divided into two camps. The first camp includes Palestinian Arab citizens of Israel, who constitute about 20% of the population, non-Zionist liberal Jews, and a few liberal Zionists. This position is expressed by the Arab leadership in their petition to the Israeli Supreme Court against the law. This camp views the law and especially Article 1 as racist. Article 1 provides that the “Land of Israel” is the historical homeland of the Jewish people; the State of Israel is the nation-state of the Jewish people; and the realization of national self-determination in the State of Israel will be exclusive to the Jewish people. The other camp, which consists mostly of liberal Zionists, does not see the law as racist but as conflicting with basic democratic values because it does not include the right of equality. This group also views Article 1 as simply declarative, as from the moment of its establishment the State of Israel has defined itself as a Jewish state. I will discuss the question of how Israeli law perceives racism, and by doing so I will explain the gap between the two camps. In addition, I will address the problem of viewing Article 1 as simply declarative. We can trace the historical beginnings of Article 1 of the Nation-State Law back to 1985. At that time, a racist movement – the Kach Party – led by Rabbi Meir Kahana, called for racial segregation between Arabs and Jews in all fields of life. In response, the Israeli government via the Knesset enacted two new laws. One added the offense of “incitement to racism” to the Penal Law. The other, Section 7A of the Basic Law: The Knesset, set forth conditions under which a political party list may be disqualified: if it negates the existence of the State of Israel as the state of the Jewish people or its democratic character, or if it incites to racism. Indeed, politicians argued at the time that adding the "state of the Jewish people" to the law was primarily a declarative matter that would not be used in the future. As then-Minister of Justice Moshe Nissim stated: "Why did we bring these two bills to the Knesset? … This is the phenomenon of Kahanism." (Knesset debate, 31 July 1985) However, Arab MK Mohammad Mi’ari disagreed; he viewed the legislative moves as a pretext: "Instead of fighting racism, the Knesset celebrates and defines this racism. This law is against racists and Arabs." (Knesset debate, 2 July 1985) Arab MK Tawfiq Toubi proposed replacing "the state of the Jewish people", at that time, with the words: "The State of Israel will be a home and a homeland for all its Jewish and Arab citizens" (Knesset debate, 31 July 1985). "Incitement against some of the population and a call to revoke their rights or a proposed bill to ban any close relations between Jews and other people, a call to discriminate against other people in criminal penalties, to prevent their access to the High Court of Justice, social rights, and the prohibition on serving in the army, while hurting and insulting those who already serve in it, all of these and similar ones bear a clear feature of an anti-democratic act or of a racist act" (para. 17). In another case in 1995, the Supreme Court disqualified a political party list running for municipal elections that advocated for racial segregation in the neighborhoods of Natzerat Illit, a mixed Jewish-Arab city, and on issues related to individuals’ daily lives (e.g., Arab citizens’ relations with Jewish citizens’ and local relocation) (CAP 6709/98, The Attorney General v. The Central Elections Committee (Moledet-Gesher-Tzomet List)  IsrSC 35(1) 351). The Court ruled differently, however, in cases involving a political party platform, which called for collective treatment without direct concretization that relates to the daily life of individuals. For example, the Court ruled that it was not incitement to racism for a political party list to advocate for the “Land of Israel” for Jews and only Jews, and to call for the transfer of Arab citizens from the state (LCA 7504/95 Yassin v. Parties Registrar  IsrSC 50(2) 45, paragraphs 25 and 27 of Chief Justice Barak’s ruling). The Court in its judgment did not discuss how such a platform affects the status of the Palestinians, how it humiliates them and turns them into a hated group. Thus, a direct call for ethnic segregation in daily life – a type called "petty apartheid" in South Africa – is prohibited racism under Israeli law. However, regardless of the degree of harm to Arab citizens’ status, it is not "incitement to racism" if there is a national-political motive calling for lateral and collective treatment. MK Uzi Landau advocated a similar approach, citing Professor Benjamin Akzin, according to which acts of deportation, transfer, or population exchange motivated by "national conflicts" are not a matter of racism (Knesset debates 31 July 1985). These observations are reminiscent of certain South African whites who justified "grand apartheid" for nationalistic reasons but opposed "petty apartheid" for moral reasons. This explains why leading political parties in Israel, such as that of the Minister of Defense, which call clearly to transfer Palestinian citizens of the state in order to keep a Jewish majority in Israel, are perceived as legal and legitimate. The fear expressed by MK Mi’ari in 1985 became a reality. 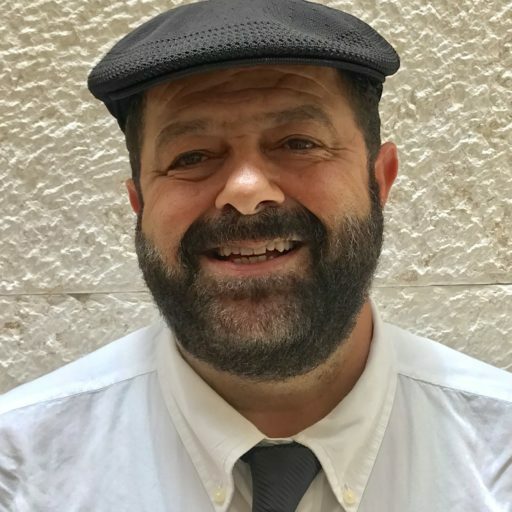 In Ben-Shalom, the Supreme Court heard an appeal in 1988 that sought to disqualify the political party headed by MK Mi’ari as it called for a state for all of its citizens, which negates the concept of Israel as a state for Jews only (EA 2/88 Ben Shalom v. Central Elections Committee for the Twelfth Knesset  IsrSC 43 (4) 221). The Court, by majority of 3-2, decided that there was no clear evidence to indicate that the political party list negates the existence of the state as an ethnic one. However, the two minority justices wrote that the State of Israel is the state of the Jewish people only and not a state of all its citizens. Further, they contended that Israel was established with the intent to realize the self-determination of the Jewish people in the Land of Israel, and that the Jewish state guarantees the Arab citizens only individual but not collective rights. These assertions mirror the spirit of Article 1 of the Nation-State Law. Following the anchoring of "Jewish-democratic state" doctrine in the 1992 Basic Laws, the minority opinion in Ben-Shalom gained legitimacy, but with ambiguity regarding "exclusivity". Right-wing politicians started to use Section 7A in almost every election to attempt to disqualify Arab political parties and leaders, and it has become a central tool for holding a ceremony of humiliation, contempt and de-legitimization of Arab candidates and their political party lists before the Supreme Court. This development explains the logic of the opponents of the Nation-State Law, who view it as problematic but not as racist. Article 1 is perceived by this group as motivated by national reasons, without the intent to discriminate against the daily life of the Arab individual. This is why, during the Knesset deliberations on the Nation-State Law, the Deputy Attorney General emphasized that most of the law’s provisions are legitimate, as they discriminate only against collective rights but not on the level of the individual. I argue that Article 1 of the Jewish Nation-State Law is racist. Contrary to the Israeli law approach, Article 1 of the International Convention on the Elimination of All Forms of Racial Discrimination (ICERD) states that racial discrimination does not depend only on the motives or justifications of the dominant group but also on the exclusion and the effect it creates on the status of other groups as equals. Thus, it is no wonder that no constitution which is perceived as democratic has an ethnic exclusionary clause such as Article 1 of the Law. In the past, "We, The People", as proclaimed in the US Constitution, was perceived as racist and colonial, when it was interpreted as relating only to Whites. This was also the case in Europe between the two World Wars, when the European colonial model in Africa was transferred into the European countries that became ethnic-states that increased racism and anti-Semitism against minorities. Another example is the 1983 "New Constitution" of South Africa, which determined the political community as “Whites, Coloured and Indians” only. The United Nations Security Council found in Resolution 554 of 17 August 1984 that the South African constitution was illegitimate and racist in that it excluded Black natives from the definition of the political community. “To come today and to determine that the State of Israel is the state of the Jewish people is to say that 16% of the state’s citizens have no state at all, and to determine that they are residents without a state. Further, the law declares that the state is only the state of its Jewish residents, and that the Arab citizens living here, live here only by grace, without equal rights to those of its Jewish citizens and are second-class citizens. The masses of the Arab population living in Israel have no other homeland. This is their homeland. They will not agree to definitions that deny their equal rights, or deny the fact that this country is also their homeland. Together with the democratic Jewish forces, they will struggle to live in it with dignity and equality. I am wondering: Do the authors of this bill fail to understand that in this definition, they stain the State of Israel as an apartheid state, as a racist state?" (Knesset debates, 31 July 1985). SUGGESTED CITATION Jabareen, Hassan: The Origins of Racism and the new Basic Law: Jewish Nation-State, VerfBlog, 2018/11/11, https://verfassungsblog.de/the-origins-of-racism-and-the-new-basic-law-jewish-nation-state/, DOI: https://doi.org/10.17176/20181111-122731-0.